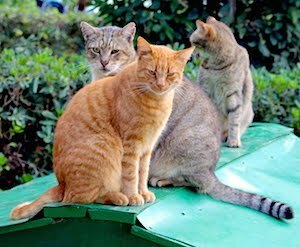 Islands of Cats: What’s Your Cat’s Tail Telling You? 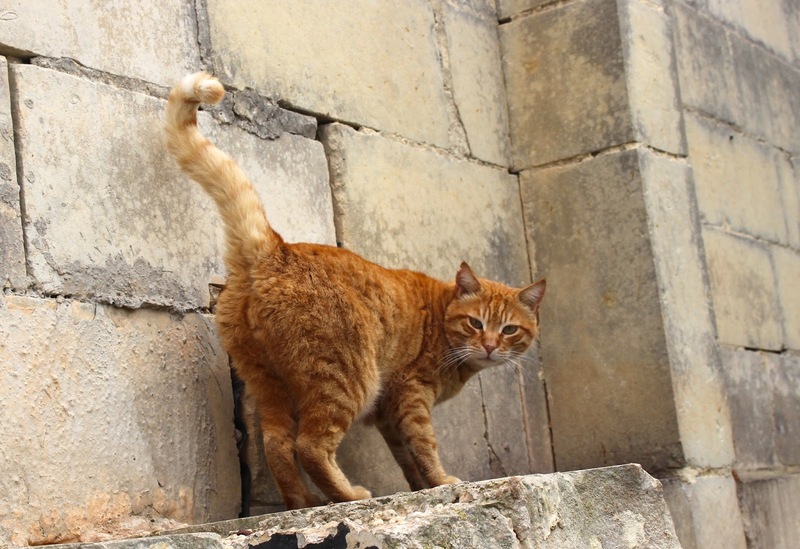 If you’ve spent much time watching your cat, you’ve seen it — a tail that stands straight up and quivers. This is a sign your feline is feeling fine and experiencing anticipation, pleasure, or excitement. You may notice this when he’s caught a mouse, or hears the familiar sound of the can opener humming, meaning dinner’s on the way. A cat who’s feeling confident, comfortable, and content holds his tail high and straight. Tall tail with a question mark You may notice your cat’s tail standing tall with..." read on.